Screaming leads, soaring vocals, heart-pounding drums.Canadas Traveler has arrived to take no prisoners!On their debut eight-song full-length, Canadas Traveler effortlessly weave a classic metal web that propels the styleinto the future without forsaking the past.The self-titled album comprises three songs from the bands debut demo, along with five brand-new compositions.Ries worked with Abboud to come up with some of his most demanding vocal parts to date - ensuring a lively,spirited approach that captures the vocalists sheer strength and diverse range. Abboud also has the less-than-enviabletask of singing songs in E-standard tuning. 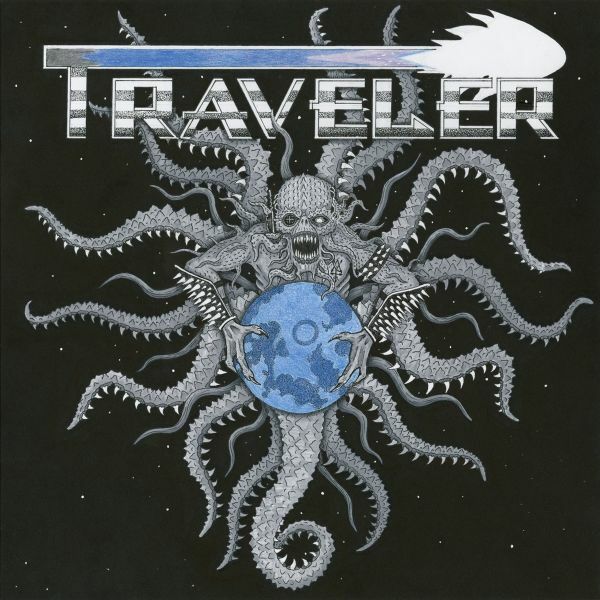 One of the most rigorous tunings that is often reserved for vocalists withthe ability to "reach the rafters," Abboud and Ries show theyre perfect torchbearers for the time-honored style ofclassic metal where big, brash choruses, soaring leads and manic drums lead the way.Travelers "let it rip" approach pays dividends across the self-titled album. Whereas their debut demo and split withCoronary merely scratched the surface, Traveler has gone above and beyond, now heading into terrain where only a few will dare to go.